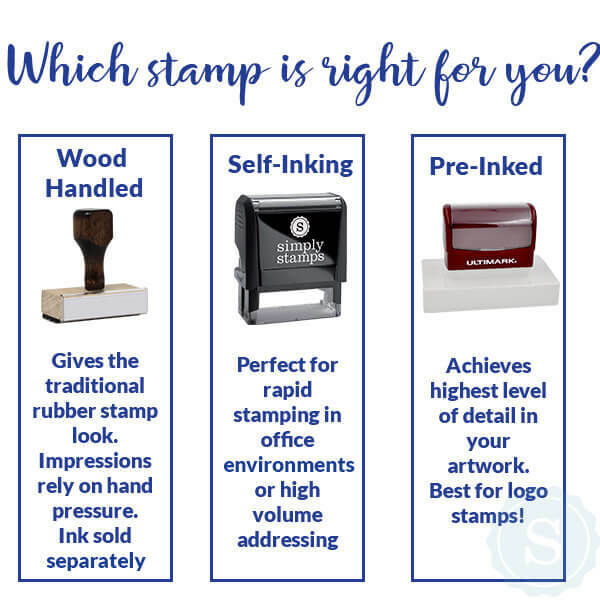 Address mail (as shown), brand packaging and more with this stamp, which features 4 lines for customizing with your personalized text or message. Approximate measurements are .8" x 2.3" but you can upsize for a larger impression! Custom Line Stamps are well loved by our customers. Why? Because they're quick, easy, and fully customizable! This 4 Line style is bold and sophisticated so that you can get your point across, no matter what that may be. Design yours now! Most orders ship next business day.